Regardless of whether they are provided for an office building or a residential unit, Koza Yönetim provides indoor/outdoor landscaping services including customized landscaping of yards, planting of seeds, germination, maintenance, watering, fertilization, and spraying. A garden that is well designed and maintained would be ideal to shed the stress and fatigue of the day. 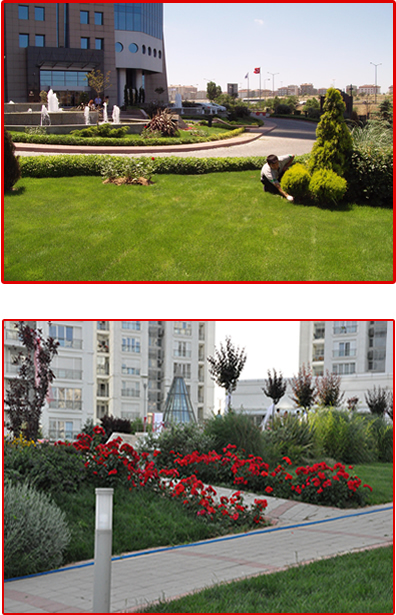 Greenery design, grass and plant maintenance of the indoor and outdoor spaces are performed diligently with care by specialized and trained personnel of Koza Yönetim.